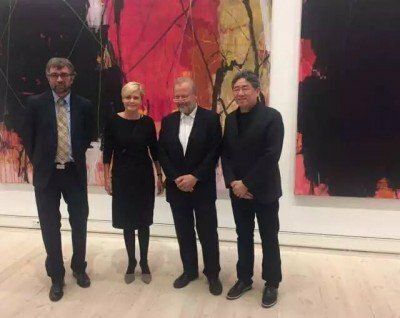 At Horsens Art Museum you now have the opportunity to experience an exhibition with the Danish sculptor Bjørn Nørgaard and Chinese painter, graphical artist and Vice President of Chinese National Academy of Arts Tan Ping 谭平. 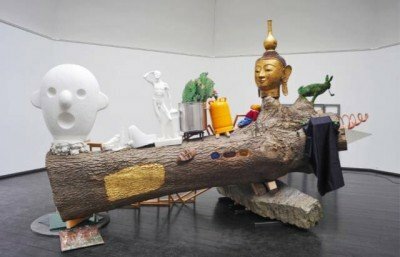 The exhibition features more than 20 of the most important works of Tan from the past three years as well as the most recent sculptures and installations by Nørgaard. The exhibited pieces of Tan Ping were all created been between 2015 and today, and center around the theme ‘覆盖’ – ‘to cover’. 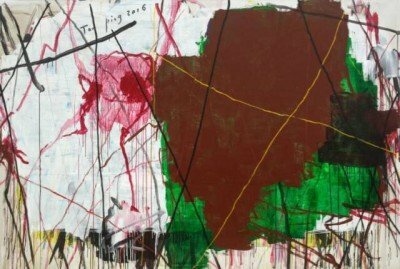 These works not only symbolize a turn away from the colourful, bold, and textured towards a dark, evened-out black, but also the artist’s reaction towards the overwhelming uncertaintity in today’s world. 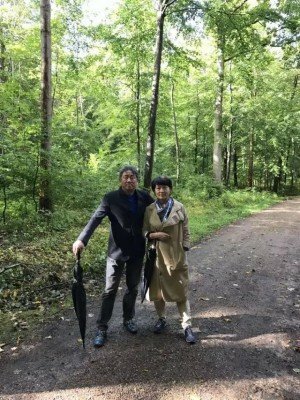 Apart from sharing an exhibition space at Horsens Art Museum, Tan Ping and Bjørn Nørgaard are good colleagues and conversation partners. Bjørn Nørgaard is one of the most prominent representatives of contemporary Danish artists. During the course of the past 15 years, he has stayed in China in several long periods working at local workshops – an experience which has had much influence on his artistic practice, and which the current exhibition seeks to shed light upon. 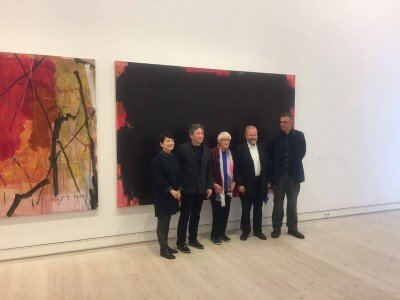 Professor at the Schools of Visual Arts of the Royal Danish Academy of Fine Arts Martin Erik Andersen, former principal of the Royal Danish Academy of Fine Arts Marie Bukdahl, as well as the artists Bjørn Nørgaard and Tan Ping partook in the opening ceremony. Museum director Claus Hagedorn-Olsen and Minister of Culture Mette Bock were also present at the opening. Established in 1906, Horsens Art Museum is one of the most important museums in Denmark for contemporary art, with a focus on its collections of contemporary Danish art for its exhibitions. 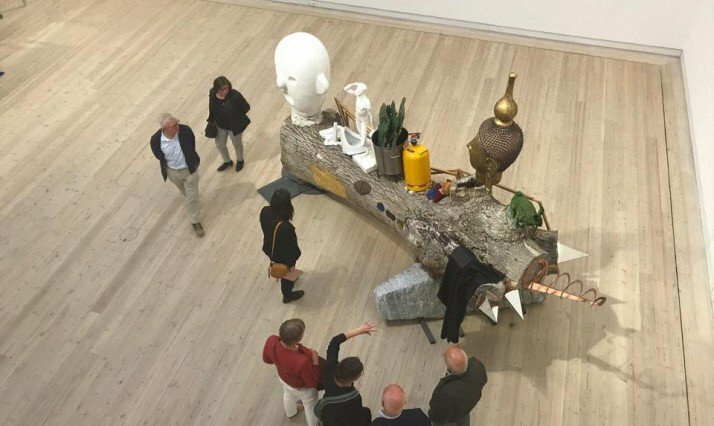 It is internationally renowned for its work in connection local Danish art with other countries and regions. 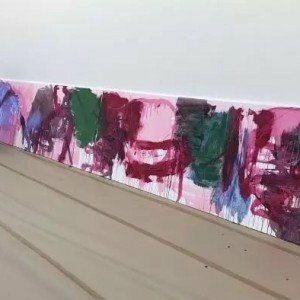 The exhibition is open until January 21st 2018, and is organized by Horsens Art Museum in collaboration with the Danish Cultural Center in Beijing with support by the Hede Nielsen Family Foundation, Grosser L.F. Foghts Fond, the Obel Family Foundation, Tove og Carsten Løvbjergs Almene Fond, Beckett-Fonden, Knud Højgaards Fond, Queen Margerethe and Prince Henrik’s Foundation, Insero Horsens, Aage og Johanne-Louis Fond, and S.C. Van Fonden.